After watching Ya Rab, You wonder why on earth Film makers still wants to make films on the tale which has been told several times by so many Film makers? There are so many films with the similar topic that we have witnessed earlier which has been presented beautifully with entertainment value. Karan Johar’s My Name Is Khan, Shoaib Mansoor’s Khuda Kay Liye (Pakistan), (Late) Jag Mundhra’s Shoot On Sight would stand out as best examples. Bollywood and Hollywood has yelled so much about this “All-Muslims-Are-Not-Terrorists” issue that even George Bush now wants to convert to Islam (Apologies please, Just Joking). Ya Rab has so many flaws attached to it that sometimes you pinch yourself and ask am i watching a film or a Documentary on Islam and Values and Terrorism? 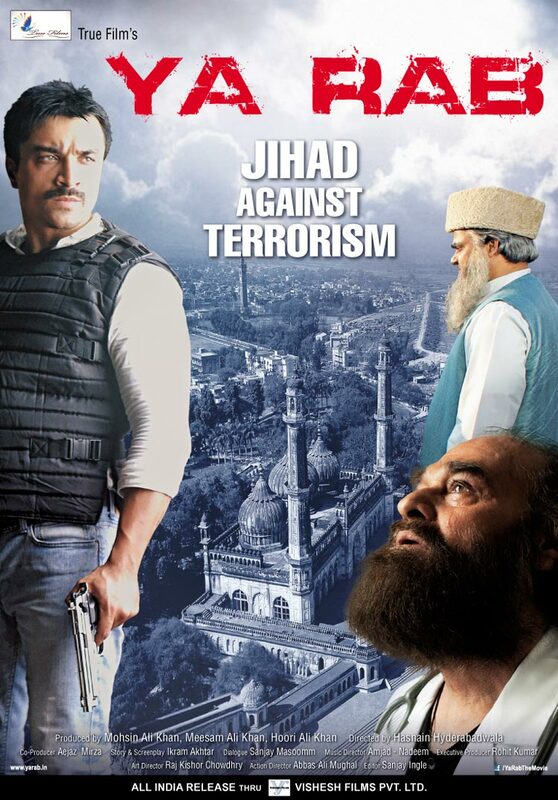 The film has this Muslim Preacher called Moulana Jilani (Akhilendra Mishra) who actually supports Terrorism and encourages youth to spread a bloodshed war in the name of Islam. His daughter Amreen (Arjumman Mughal) is married to Imran (Vikram Singh) and is pregnant. One day they both go to a shopping mall which is planted with RDX and all the hell brake loose. 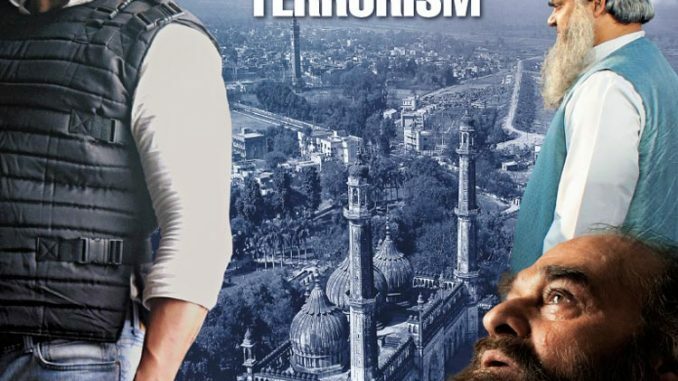 Suddenly there is another track where we see our new version of Kamaal R Khan and “Over Acting” self proclaimed star Ajaz Khan who plays anti terrorist officer Ran Vijay Singh who with the help of her lover Flora Saini who plays a Journalist is out to finish Terrorism. Do you still want me to write more on the film’s story? The film is directed by Hasnain Hyderabadwala who has earlier made films such as The Killer (2006), The Train (2007), Jashnn (2009). Let me also mention here, All his earlier films bombed at the Box Office. Surprisingly, All of his earlier films were produced by Vishesh Films (Mahesh Bhatt). Even his latest offering Ya Rab is being distributed by Vishesh Films. After watching Ya Rab, I feel the controversies that are floating around regarding this film is merely engineered. In that case, Even engineered publicity doesn’t help you if your product is bad. Speaking of performances, Ajaz Khan stands out as the worst actor our country has ever witnessed. His dialogue delivery and style might be liked and appreciated by the roadside rowdy life living people (Who are merely 20% maybe), But he is definitely not a class actor. Ajaz Khan actually provides comedy in the film with his bad acting skills. Please notice him carefully whenever he utters the word Terrorist. Arjumman Mughal surely needs an acting course or a strict acting trainer for herself. Vikram Singh is good. I will not even consider Manzer Sehbai as an actor. I will still salute Shoaib Mansoor (Pakistani Film maker) who extracted a decent performance from Manzer in his classic Bol. Akhilendra Mishra is outstanding and there are no second thoughts on this. Flora Saini and Kishori Shahane Vij are good. The music of the film is bad. The Editing is not up to the mark, As the second half is dragging and boring. Production values are just passable. I won’t be surprised if tomorrow a big star (Who is not related with this film in anyways) comes forward and appreciates this film, Others write good about the film, A rigged figure of 100 Crore is presented. Because as they say, Everyone has their own point of view and anything can happen in the show business. Ya Rab’s poster says it’s a Jihad against Terrorism. Trust me, Ya Rab is a Jihad to save ourselves from this Torture! Don’t waste your hard earned money on this one.